Dental Hygiene (Dental Cleanings): Regular dental cleanings are perhaps the best preventative measure to maintain oral hygiene and ensure that your natural teeth last as long as possible. Dr. West and his experienced staff in Lafayette, CO will ensure that any buildup of plaque, tartar, or calculus is removed so that your teeth leave our office shining and pristine. Dental Bonding: A misshaped or slightly damaged tooth can be reshaped using a composite that is molded to the correct shape and then instantly hardened, giving you a resilient, impeccable addition to your tooth. Dental Bridges: A bridge is one way to fill in the space of a missing tooth (or teeth) by bridging the gap with an artificial tooth (or teeth). A dental bridge is supported by either two of your natural teeth or by dental implants, and will restore both functionality and the aesthetic shine to your smile. Dental Crowns: If one of your teeth cannot be fixed, a dental crown can be used to replace it. Crowns are custom-made from molds of your natural teeth to make sure that they fit and feel like your old tooth. Dental Fillings: When dental fillings are necessary, our office uses the best materials available including a tooth-colored composite dental filling that is durable, natural-looking, and healthier than metal dental fillings. Gum Disease Treatment: Though gum disease can be quite serious (research has linked gum disease to heart disease), Dr. West offers both standard and cutting-edge laser treatments to heal your gums. He can identify and stop the spread of gum disease, restoring health to your gums and teeth and improving your overall oral hygiene. Even with proper oral hygiene, teeth will sometimes decay. If the root or pulp of your tooth is damaged, Dr. West can perform a root canal to remove the damaged portions of your tooth, thereby alleviating the pain and discomfort you feel. 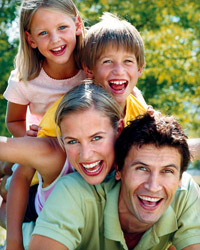 Call Dr. West in Lafayette, CO today to schedule an appointment for family dentistry! 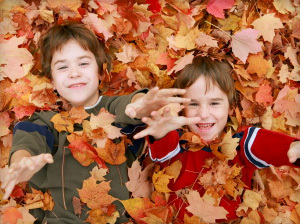 Our family dentist is eager to work with everyone in the Boulder area, so don’t wait!